Laurie Here - Contemporary Fiction and MORE - Book Reviews: FLASH GIVEAWAY! 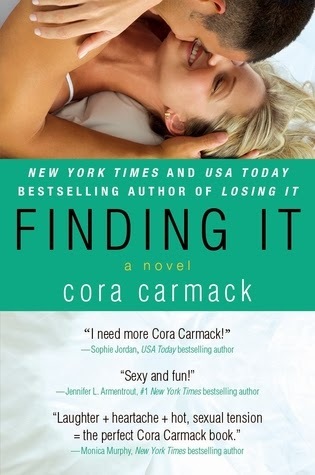 Who wants to win "Finding It" ebook by Cora Carmack? 5 WINNERS! MORE info at the blog! FLASH GIVEAWAY! Who wants to win "Finding It" ebook by Cora Carmack? 5 WINNERS! MORE info at the blog! BONUS - Giveaway of "Keeping Her"! '1' copy! Okay! FOLLOW AND COMMENT - don't forget to ADD your EMAIL ADDY - I'll need to contact you!! Thanks!